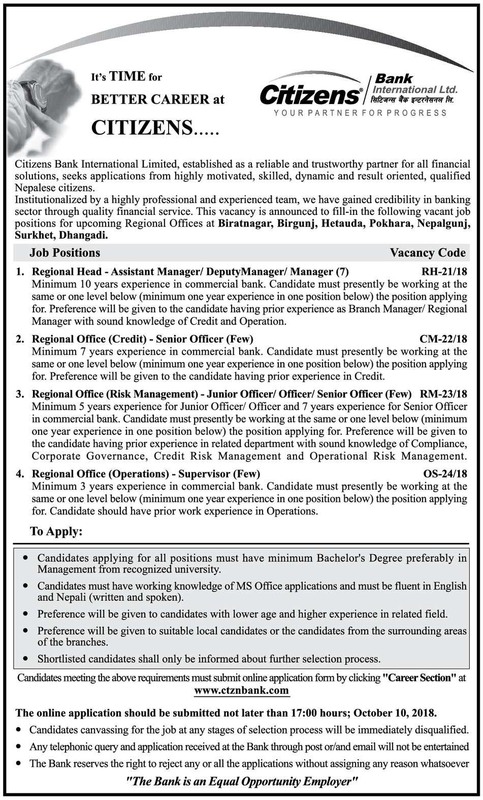 Citizens Bank International Limited published a notice about vacancy announcement for the various posts. You can apply online for these various post from the official website of Citizens Bank. The application must submit before 2018 October 10 (2075 Ashoj 24). Check complete notice of Citizens Bank Vacancy Announcement below.